Been racing triathlons since 2012, raced first long course in 2015. Have struggled with nutritional issues as a larger athlete who sweats heavily. After yet another massive struggle on the run at IMTX in 2018 switched to Infinit. Once I dialed in my proper balance have seen faster recovery from training sessions and had a much better experience at IMMT. In fact IMMt was the first full distance IM that I did not end up in the medical tent and that can be attributed to following Infinit nutritional plan on bike and run. 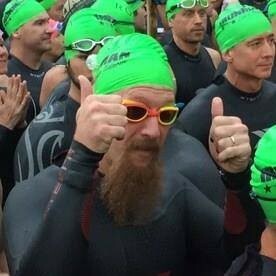 Looks forward to racing 5 IM70.3 races in 2019 and will be using Infinit to hopefully set some new PR's!